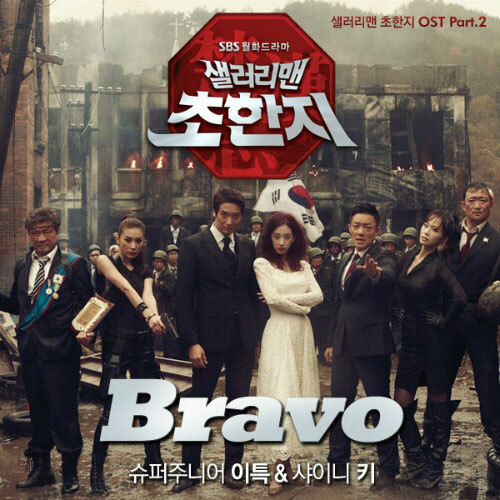 The second OST of SBS drama series Salaryman Cho Han Ji (History of Salaryman) is named with the title of Bravo. The song of Bravo is released on January 3rd, 2012. The original sound track is sang by Lee Teuk (이특), the leader of Super Junior (슈퍼주니어) and Key (키), a member of SHINee (샤이니). Lee Teuk has personally announced the OST ahead of official release by tweeting on his Twitter on January 3rd, 2012, “Salaryman Chohanji’s OST… with SHINee Key. Really, it came out in one day”. Bravo is a refreshing track that encourages listeners to overcome all difficulties and obstacles on their way to fulfill their dreams. Listen to Bravo at YouTube.